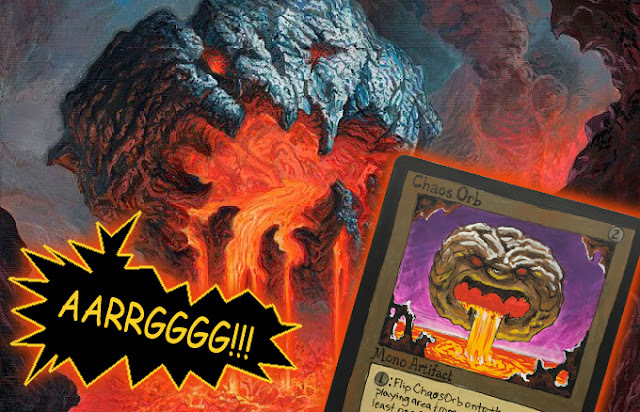 Old School Ron: Giant floating Chaos Orbs for inspiration! Giant floating Chaos Orbs for inspiration! Inspiration comes from all around when you're online. There's a wealth of information, images and ideas posted every day. 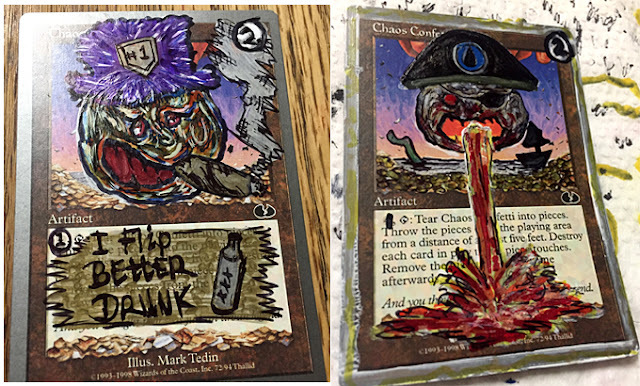 In this case, I ended up stumbling onto a number of Chaos Orb alters done by Capn' Lupo and posted on Instagram over the past few weeks. Seeing those alters inspired me to try my hand at drawing up one myself. 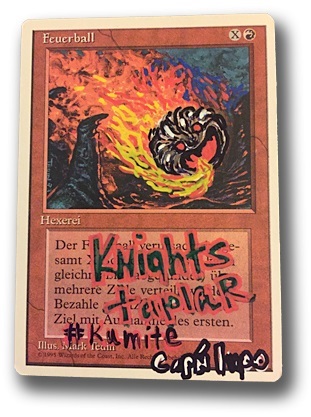 Granted my "alter" in the image above is not really an alter as much as it's a childish reproduction deliberately drawn that way so there's no mistaking it for a real card. I'm not looking to get into commission work with the cards I'm drawing, I just enjoy doing them as small challenge for myself. I look at it like reading a comic book. Fun, short and it doesn't take all day to do. Each card gives me the chance to draw a unique image with its own set of challenges. Something to do on rainy days so to say. It's a great break from playing Space Hulk and painting minis. But let's take a look at some of the beauties the Capn' created. 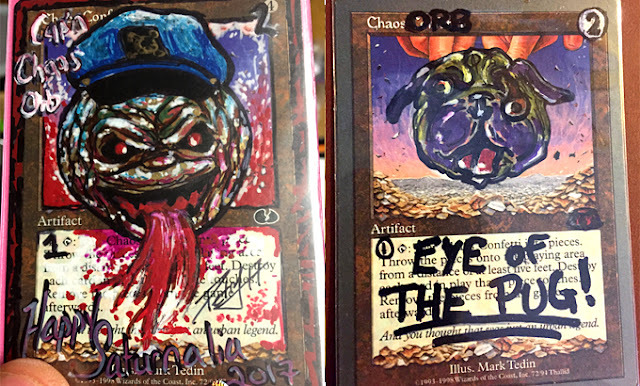 Correction: The Chaos Orb alter on the bottom left corner was created by Peter Lupo. There's something to be said for Old School Magic and the creativity that is allowed... dare I say even encouraged in this format. Where else are you going to find such monstrous beauties as these that are actually used in games? I'd be proud to play with one of those. The one I've done will sit patiently on my desk until called into duty for an upcoming article I'm writing. That is unless of course someone offers me an obscene amount of money for it and it'll be in the mail before the end of that day. Hopefully the ones the Capn' has done will continue to see years of flipping and I hope that you find the inspiration in your daily travels online to try the things you want to do! Thanks goes to the Capn' for bringing some life and more importantly, some inspiration into the game. There's one more he sent me when I contacted him about sharing his work... a Fireball-Chaos Orb alter for a an upcoming event being held by the Knights TAPlar in Jackson, Michigan on April 14th. $10 entry fee with all proceeds going to The Healing Place. Those of you close enough to attend have no excuse now to not be there! For more information on the Knights Taplar event, contact the Capn' himself. IMAGE: "Updated" Chaos Orb image by Mark Tedin, Photo Illustration by me.